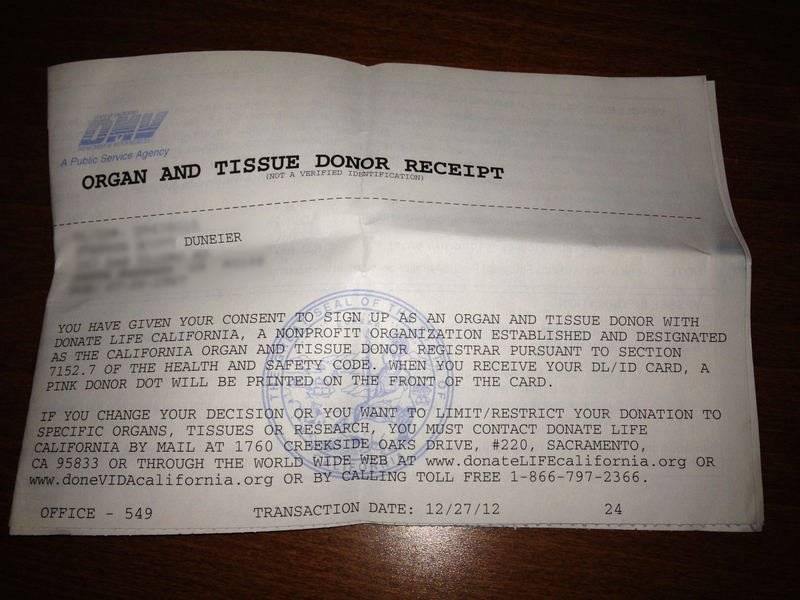 This entry was posted in Aborted GR's, Donate Blood, GIVING RESOLUTIONS, GR12: Organ Donor and tagged 12for2012, bijapoo, bucket list, california, charity, donate, donor, duneier, giving, health, help, how to, inspiration, inspire, learning, medicine, organ, organ donor, quirky, resolution, santa barbara, stephen, stephen duneier by BijaPoo. Bookmark the permalink. I will go a little beyond this…. my daughter, who is a 3 year med student, gave the thank you address two years ago at UNE to the families of those who donated their bodies to the school. I have in fact donated mine, so that med students will have my cadaver to learn on. I had both my daughters sign the paperwork to do so, so they weren’t blindsided by it, and I can rest easily that I will be providing some use to the world even after I’m not technically alive. Is this any grosser than rotting in a casket? I think not. I think not either. I had planned on having my ashes dusted along the Santa Barbara trails, but this is a better way to go, I think. NICE. HOPE THE PERSON CHECKING YOU OUT AT THE MOMENT OF TRUTH, ISN’T SELLING PARTS AND DETERMINES YOUR ARE GOOD TO GO. JUST HOPE YOU’RE REALLY FINISHED WITH THEM AND THEY’RE NOT RUSHING THE PROCESS.